The most frequent Medicare Supplement question is about cost. What’s a Medicare Supplement going to cost me? Gain insight how much the coverage costs and why. How much is a Medicare Supplement plan going to cost me? Medicare Supplement insurance plans provide excellent comprehensive coverage for individuals. As you’ve learned, supplemental plans are standardized. You should shop around for Medigap rates from the insurance companies that offer that specific plan. For instance if you like the Plan G coverage, find the lowest rate available from companies who offer that specific plan in your zip-code. This can easily be done by entering your information on the Retirement Transitions Medigap Quote Engine. The private insurance companies who offer Medigap policies set their own prices. If the insurance company uses “Attained-Age-Rated”, the older you get, the more expensive the cost will be. If you have health conditions you’re worried about and don’t have a guarantee issue right, then you will need to go through basic underwriting. Individuals have options when determining how to pay for their supplemental coverage. The premiums are paid to the private insurance companies where your policy is held. The most popular way to pay for the premiums is to have them automatically deducted a personal bank account. The frequency of the premiums that’s most popular is monthly. In years past, it was cheaper to pay premiums annually, semi-annually, and quarterly. Recently, Medicare supplemental insurance companies want you to pay monthly by having the premium automatically deducted. One insurance company, offers lower rates for policy holders who pay monthly. By having a payment book delivered cost the insurance company extra money to process payments and makes it easier for the policy to lapse. Retirement Transitions suggests individuals to pay for their coverage by monthly automatic withdrawal. This ensures that individuals won’t forget to pay for their coverage, which would possibly lapse the policy. It’s easier to budget the cost monthly than the other. Which company has the cheapest Medicare Supplement Rates? Determining which company has the cheapest Medigap policies depends on where you reside, your age, and gender. For example, an individual in Omaha Nebraska may pay more for supplemental insurance than an individual in Lincoln Nebraska. Each Medicare Supplement insurance company has different rates for zip codes across the country. 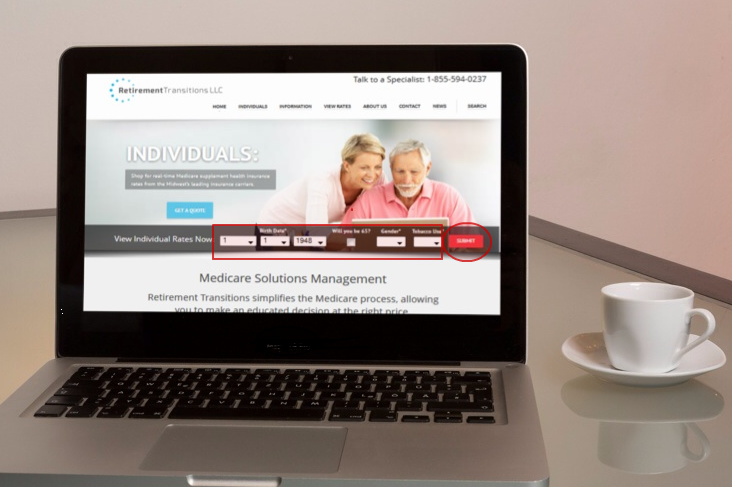 The easiest way to find the best rates for Medicare supplements is to run a quote on the Retirement Transitions website. Top-rated insurance companies like Omaha Insurance Company by Mutual of Omaha, Aetna(American Continental), Cigna (American Retirement) just a few examples of the companies you can view multiple rates from. Finding the best Medicare Supplement rates also vary from each specific plan. For instance, a Plan G is generally cheaper than a Plan F. This is because a Plan F has more comprehensive coverage than Plan G. Medicare Plan G is the future of Medicare Supplemental Plans. Medigap Plan F could go away in the year 2020. Not all companies who offer Medicare Supplement Insurance (Medigap) offer these types of plans. Individuals who want the cheapest Medigap plan know their isn’t a best company. This is because the coverage is exactly the same between companies. Retirement Transitions advises individuals to find a plan that meets their needs, then shop rates second. The third step would be to apply for that specific plan to the insurance company with the lowest rate. Going with the second best Medicare Supplement rate isn’t always a bad idea. The second best rate may be a stronger company and have lower rate increases in the future. Compare Medicare Supplement Rates from multiple Medigap Insurance Carriers.